From a certain distance, the Goldert vineyard has a very discreet and low profile look. Its gentle east facing slope doesn’t look as dramatic as other Grand Cru sites. I always describe it as a ‘Burgundy’ style vineyard, because its quality comes from the very interesting rich marl/limestone soil. 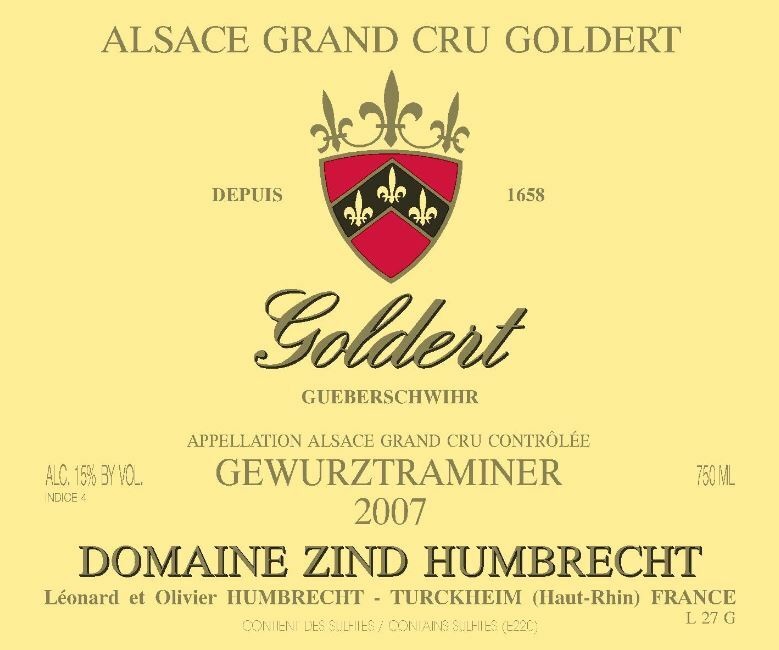 Of course, the cooler climate that characterizes the village of Gueberschwihr increases the late ripening effect of this vineyard, and also allows amazing noble rot development in some vintages. In 2007, the botrytis struck early October with enough intensity that we were able to produce an SGN. This wine is therefore made from a slightly more healthy selection, but still shows a huge ripeness. The fermentation was classic, and ended as far as the yeasts could go to.